At photokina 2012, the Taiwanese company Hoocap (www.hoocap.com) showed a neat device for many different lenses and cameras, still in development for a wider range. 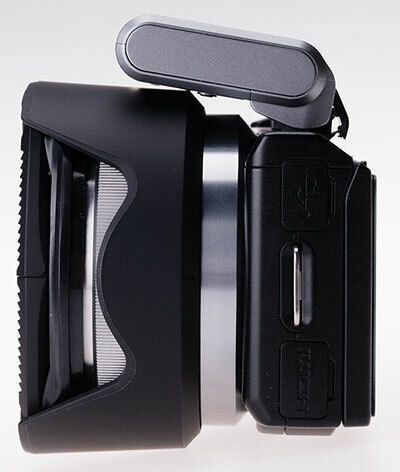 It’s a combined lens-hood and lens-cap, which can be pushed or pulled to seal off or use your lens. They have models for lenses such as the Nikon 24-70mm f/2.8 – but their neatest model is dedicated to the NEX 16mm f/2.8. One of the best and most original lens designs ever made, reducing the number of elements to fewer than EVER used before for an 83° angle of view, while maintaining an exceptional standard of resolution and geometric projection – and anyone who claims otherwise either just doesn’t understand what makes a 24mm equivalent lens, has a bad example*, or doesn’t realise just how BAD a typical 24mm Nikkor, Rokkor or Canon is in comparison. Rant over! 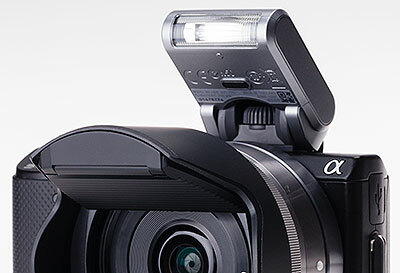 *Sony’s QC has been less than flattering to the skills of their optical design team. 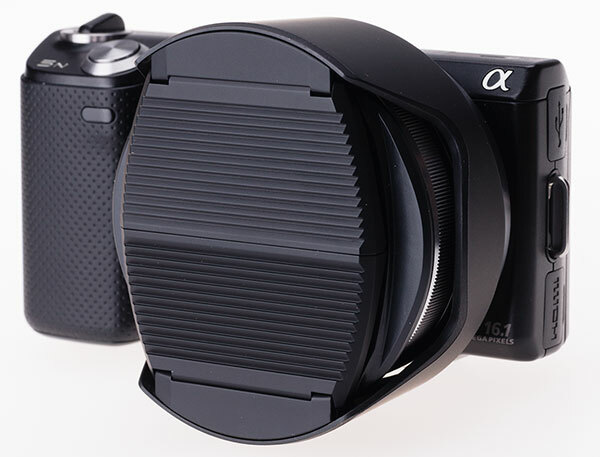 Now this is an efficient lens shade for video, and not all that bad for the majority of still images taken in horizontal, landscape composition mode. You can, of course, fit the 18-55mm lens hood to the 16mm lens and it does help prevent the very rare instance of lens flare from a design which is highly resistent to flare. Unboxing, only they didn’t have a box, just a prototype plastic pack. It was disappointing how few firms at photokina were willing to give us samples of relatively small items. We did not have time to spare, just a day. Hoocap immediately understood what we were doing and offered a sample. They were the ONLY company to do so. In past years, we’ve come back with loads of small accessories and items to write about, but this 2012 photokina has been an impoverished one in more ways than just the lack of square metres of stands. This is how the Hoocap closes. It does add some bulk to an otherwise tiny camera and lens. You pull the unit from the rear to open the hood. It tends to need two actions unless you are lucky enough to get the pulling action exactly at 90°. It does not risk accidental opening, or closing. The action is firm and positive and exerts no strain on the lens or camera. In case you think we do not question product design, here’s fault no 1 – if you have the small flash fitted to a 3/5 series camera, it won’t stow down fully. But it does turn off. It simply impedes the closing action of the Hoocap. 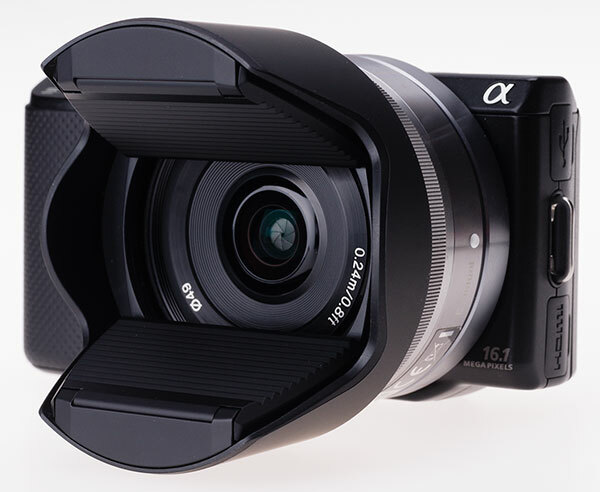 By the way – we tested the cap with a 49mm UV filter fitted to the camera. It allows space for this. The second flaw connected with flash is this. 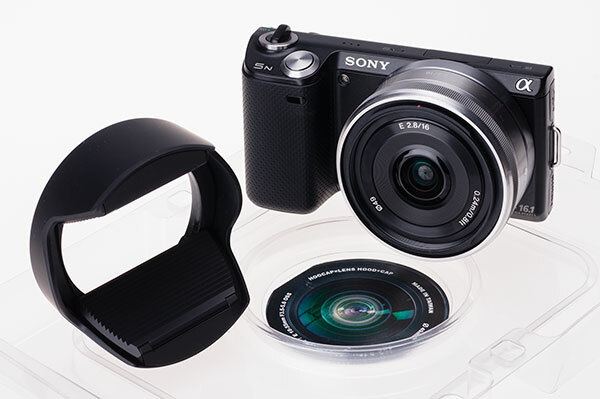 Look at the geometry – without the Sony flash extender. 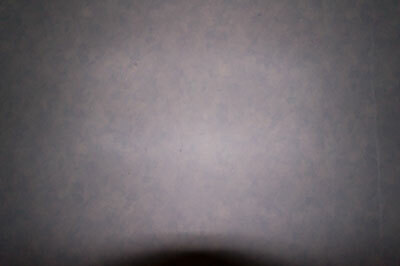 It’s not awful, but this f/16 test shows exactly the area of shadow the hood will cast for a typical party or group shot at home. You really need to remove the hood for flash shooting. Much will depend on the price, but we like this product. It closes the camera off in a very fast action – clunk! – and opens it almost as quickly. It can also be used on the 18-55mm lens but it’s super-neat on the 16mm. Don’t forget we have a new photo quarterly magazine – Cameracraft. Please support us by subscribing, Cameracraft directly finances the Photoclubalpha website.